A lot of people don't usually pay enough attention to their credit score unless they want to apply for a loan or credit card. There are also others who do not think about their credit score at all. It is not hard to ignore your credit score, especially if like some people, you are anxious about what the result might be. There are also people who believe that constantly checking your credit score has a way of affecting your credit, which is not true. If you want to have total control over your financial life and credit, it is not enough to neglect your credit score. This must check it. Checking your credit score will help you know where your credit really stands. Your credit score is a very vital part of your financial health. If you know where you stand, it will make it easier for you to improve on it or focus on maintaining it. Regularly checking your credit scores will help you get an insight into what hurts or helps your credit score. You will know which of your financial actions affect your credit score in positive or negative ways. Unlike your school assignments, which you could neglect for weeks, revisit briefly for a test and still pass it; you can't do the same for your credit scores. It's not something you can quickly get ready for in a few days because you have a loan application. You need months to prepare for this. It might even take years for you to build a good credit history. Monitoring your credit scores by checking it constantly will help you keep it at its best. Knowing where you credit score stands will help you prepare for any possible outcome before putting in for a loan application, instead of being blindsided by less-favorable terms or denials than you expected. As you monitor your credit score and take steps to improve it, you give yourself a better chance when it comes to getting approved for credit cards. Stealing your documents or hacking your account with personal information only takes a few minutes. It's not like people expect this to happen to them. They just discover that their credit scores have dropped and realize there are existing fraudulent accounts in their name. A fraud report by Javelin Strategy and Research revealed that about 11.6 million people fall victim to identity theft in just 2011 only. It takes months to get rid of fraudulent charges or repairing the damage. This can completely destroy your credit score. To be safe, opt in to a service that allows you to do weekly credit score checking. It is very easy to check your credit score with Credit Sesame and this is something that can be done in just 90 seconds. A basic account with Credit Sesame allows you to do one free credit check in a month and a premium account gives you access to daily free credit checks. Once you open a new account, you can get an immediate credit check from TransUnion. This involves the use of VantageScore 3.0, which is their own way of calculating credit scores. There is another credit score models, which is the FICO score that makes use of a different methodology when it comes to calculating your credit. The reports from your Credit Sesame account will help you determine the kind of accounts that are open in your name, the use of your credit and a lot of other important metrics which you must be aware of. Doing a free credit check on a Credit Sasame account as many times as you like does not affect your credit score standing in any way. Your credit score is calculated with a formula that is based on different variables which include number of accounts, amounts owned, and payment history. This result can determine the interest rate that you pay to your creditor and whether or not your loan application will get approved. The following are what credit score ranges mean to your future borrowing. You get this when you are consistently responsible in managing your borrowing. This also makes you a prime candidate for the lowest interest rates. Having a low balance on your credit cards and having a history of no late payment gives you this kind of score. This indicates that you are generally financially responsible in credit management and money. You make most of your payments and your credit card balance is low when compared to your credit amount limit. This puts you in a place that is a little bit above the average of U.S. consumers, considering the fact that 700 is the national average FICO score as of 2017. This might get competitive interest rates, but it is not likely to earn you the ideal rates of people in higher categories. This is the “fair” category. There are truly some dings on your credit history, but no major delinquencies are found. You can still get extended credit from lenders but it won't be at very competitive rates. 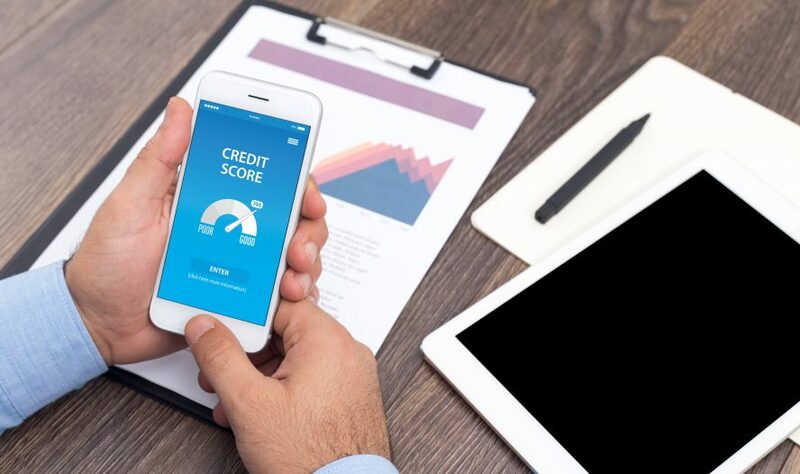 This signifies major damage in your credit history, which could have resulted from multiple defaults on many credit products, which usually lasts on your credit record for 10 years. This gives you a slim chance when it comes to getting new loans and credit cards. You need to take steps to repair your credit and talking to a financial professional is a good place to start.